GOOD GOLLY MISS MOLLY! 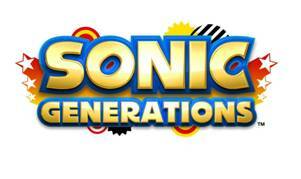 If you weren't excited about Sonic Generations before you should be now! Sega have just issues a press release with information and pictures of the Collector's Edition of the upcoming Sonic Generations and it looks like the perfect way to celebrate our little blue pals 20th birthday. there are plenty of "Collector's Edition" games coming out nowadays but not all of them look the goods like this one. Continue on for Sega's official press release and photographs of the SQUEE-worthy pack. Thursday 8th September 2011 – SEGA® Europe Ltd. continues the celebrations for Sonic the Hedgehog’s 20th Anniversary with an impressive Collector’s Edition for the Xbox 360® video game and entertainment system from Microsoft, PlayStation®3 computer entertainment system versions of the upcoming Sonic Generations™ videogame. The Sonic Generations Collector’s Edition combines limited edition collectables based on the upcoming game as well as assets handpicked by Sonic Team to celebrate Sonic’s 20th Anniversary, providing the ultimate celebration of Sonic for fans new and old. Included in the Edition is a collectable figurine featuring both Classic Sonic and Modern Sonic, an exclusive, individually numbered commemorative “Gold Ring”, and a “20 Years of Sonic Art” book, containing never before seen sketches and images from the past 20 years. Also contained in the Collector’s Edition are the ‘20th Anniversary Sonic Soundtrack’ featuring a selection of tracks handpicked by Sonic Team, and the ‘History of Sonic: Birth of an Icon’ documentary, an exclusive collection of interviews and footage charting Sonic’s life from inception through to becoming one of the most iconic characters in videogame history. 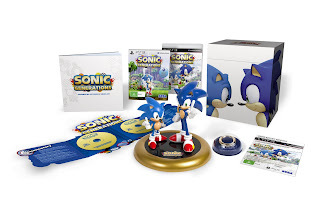 Limited Edition lenticular packaging and bonus additional downloadable content for the game are the final components that make up this unique Collector’s Edition for Sonic Generations™. Sonic Generations™ will be available on 3rd November 2011 on Xbox 360® video game and entertainment system from Microsoft, PlayStation®3 computer entertainment system. The game will also be released on the Nintendo 3DS™ system.